On April 16th 2012, Google said Good Bye to all the smartness of putting ads in the header and at every corner of the page where possible, to earn more money. It is basically introduced to remove all the websites which have an excessive content on the top of site or above the fold, which is either an advertising campaign, affiliated marketing stuff or something related to monetizing. People don’t like the floating ads, flash bars or something involved in the advertisement stuff during their search results. So, a lot of complains had been received by people to Google about this unwanted stuff. Therefore, Google finally decided to update their algorithm as Google Page Layout Algorithm to say thanks finally to unwanted iframes, which is also known as Google Panda Update. So, if you think you have been ranked down, then you must take care of the page layout and it’s accessibility on different browsers and even on different devices like, mobiles, androids, tablets, etc. which has again been a new era in search engine optimization known as Search Engine Optimization for Device Accessibility. 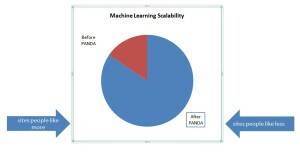 Google has a team of engineers known as Panda monitoring the quality of content online by applying some restrictions. This basically changed the best SEO practices been used since years. This basically controls the spamy stuff highly optimized to take the top position in search results which is basically revenue sharing stuff and has nothing to do with the quality of content for users but highly with the quality of content for search engine spiders. Now, let’s see how it works actually by understanding some pictography. Google uses some machine learning scalability to view what is good content on the user’s side and what isn’t. The best tip to overcome any penalty is to obey it out any way. 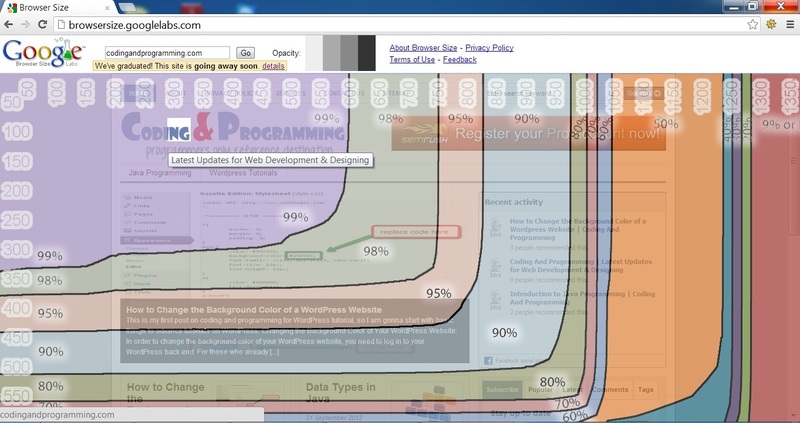 The PANDA update is actually all about the onpage stuff and so is with the page layout. Analyze your page layout with Google’s http://browsersize.googlelabs.com/ where you can find how much percentage of people is able to see a specific part of the page. Provide the real content of your website rather than ads, with 70% or above “above the fold” on every page or your site will be get penalized by Panda. Try to avoid using big slider boxes at the top of your website and keep the content as above as possible making it visible to the visitor. By doing this you make the content available for the person who is looking for the required information rather than showing irrelevant ads, this will also cut down you bounce back rate. If you think you have been hit by Google’s recent page layout algorithm, you may consider switching your design and making it more Google friendly. Nowadays it is very important to understand the technicalities about Google Algorithms because these algorithms are destroying the old strategy and techniques. In this scenario your shared information is very helpful and keen to get knowledge about Google page layout algorithm.